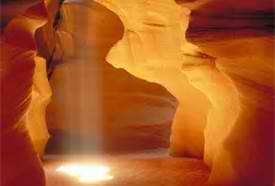 Prayer opens the recesses of our minds and allows the marvelous light in. The more time I spend with God, the brighter my outlook becomes. I often refer to CREATING AN AMAZING LIFE because that is what this blog is all about. It is my journey to the place God intended and created me to be. What I am actually doing is sharing my transformation with all who desires to pay attention. It occurred to me this morning that I have not shared the driving force behind my passion for PURPOSE. I give all credit and thanks to God! A great part of my routine is to have my appointments with God by way of daily devotion. I remember when I struggled with prayer. It was difficult because like everything else, I can tend to complicate something simple. Now, I pray my way with ease. I get it that I am accepted for who I am by God. There is no special way to approach the throne of grace. Now, I breathe so much easier. I truly am able to handle most obstacles (once I take a moment and confer with my creator). In my quest to transform my life, my connection with God is of utmost importance. On this beautiful sunny Phoenix day, I am so grateful for my appointments with God. How about you? Are you taking the time to get in that quiet place and commune with your creator? If not, please try it. There is so much joy and peace when you do.